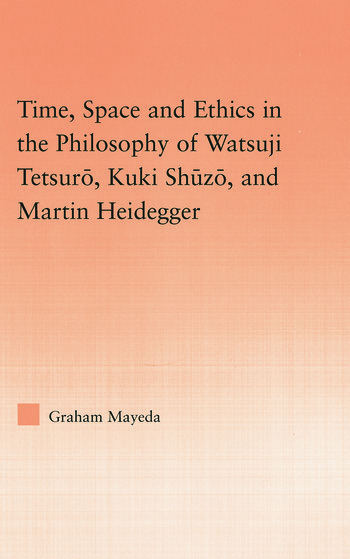 In this book, Graham Mayeda demonstrates how Watsuji Tetsuro and Kuki Shuzo, two twentieth-century Japanese philosophers, criticize and interpret Heideggerian philosophy, articulating traditional Japanese ethics in a modern idiom. Graham Mayeda conducts research in both philosophy and law. His interests in philosophy focus on East Asian ethics and twentieth-century European philosophy, with a particular emphasis on the philosophy of Martin Heidegger and Emmanuel Levinas. He is currently and Assistant Professor in the Faculty of Common Law at the University of Ottawa, Canada.